Iraq's incoming cabinet is approved by the Council of Representatives (photo via Government of Iraq website). Iraq peacefully experienced last month its fourth transfer of authority, with Adel Abdel Mahdi sworn in as prime minister. But since the 2003 invasion led by the United States, Iraq has not been successful in translating democracy from an ideal abstract to a functioning system. This is partly because conflicting parties have chosen to use mechanisms beyond state institutions to resolve issues. The undermining of Iraq’s modern, democratic institutions—whose establishment has been a remarkable development—has led to their paralysis. Although parliamentary democracy is new to the Iraqi people and the state, the parliament has been one of the most active of Iraq’s institutions. Surrounded by a region of authoritarian and undemocratic countries and contending with internal conflicts, Iraq’s parliament has offered hope for protecting rights of all from the dictatorship of the majority. Yet, despite this success, the parliament’s upper house, constitutionally defined as the Federation Council, has never been established. Establishing the Federation Council would be a step forward in Iraq’s democratization and ability to resolve disputes. Implementation of the Iraq Constitution, which was supported by a majority of Iraqis and which was a pioneer step in building a new Iraq, has remained a key issue. The failure to implement the constitution was one of the main reasons used to justify the Kurdish independence referendum. Establishing the Federation Council has been one of the least discussed issues but a serious demand of the Kurds, now some Shiite and Sunni parties similarly back it. Per Article 48 of the Iraqi Constitution, “The federal legislative power shall consist of the Council of Representatives and the Federation Council.” Furthermore, according to Article 65, the Federation Council is “to include representatives from the regions and the governorates that are not organized in a region. A law, enacted by a two-thirds majority of the members of the Council of Representatives, shall regulate the formation of the Federation Council, its membership conditions, its competencies, and all that is connected with it.” Although per Article 137 the Council of Representatives should have issued a decision by a two-thirds majority vote in its second electoral term, this article remained unimplemented. The political consensus among the main Iraqi constituencies­—the Kurds, the Sunnis, and the Shiites—that has managed politics post-2003 has resulted in disputes among the conflicting sides, more precisely between Erbil and Baghdad on one hand and Sunnis and Shiites on the other. Although the Council of Representatives has been one of the most active Iraqi institutions, it has been criticized for passing laws that have sometimes further divided these conflicting sides or for failing to pass desperately needed laws that would help the country end contradicting Baghdad-Erbil interpretations of the constitution. If the Council of Representatives had been able to pass the oil and gas law, for example, many of the disputes between Erbil and Baghdad could have been avoided. Additionally, when the Council of Representatives passes a law, it is approved by the president, who does not have power to veto it. Similar to the U.S. Senate, the Federation Council could have checked the laws passed by the lower house, and the requirement of a two-thirds majority to pass laws would have made it impossible for any political side in the Council of Representatives to impose its will over others. Many Iraqi political parties point out that they believe in in the principle of decentralized power, if not a strict federal system with strong regional governments, as is the case in Kurdistan. The new prime minister, president, and the speaker of the Council of Representatives also back this principle. Strengthening decentralization and empowering governorates and regions is in line with the constitution. Moreover, decentralization of power is essential for stability of Iraq, as local administrations can protect their areas through local police rather than militias. The Sunnis and the Kurds now have no issues with the Iraqi Army’s deployment in their areas, but they oppose the deployment of militias. Turkmen in Kirkuk also view Kurdish peshmerga and Asayish security forces in the city as militias. The Federation Council could make this decentralization a reality, as the members would be from the governorates and regions directly and could guarantee the constitutional rights of their constituents. Although Iraq has been federal since 2003 and the Kurdistan Region has been recognized officially as a federal region, both the Iraqi and Kurdistan governments have failed to decentralize power. The governments remain similar to the former Iraqi regime in their management of administrative powers. In the area of political disputes and political conflicts, federalism may be very suitable for power sharing, but democratic institutions need to be present to guarantee that the regions and governorates can protect themselves from the majority when it wants to impose its will. Nevertheless, many political parties feared that federalism may lead to secession, and some, such as former prime minister Nouri al-Maliki, wanted to have more powers in Baghdad. Since 2010—when Ayad Allawi was deprived of the right to form the Iraqi cabinet despite his Iraqiya coalition having won the parliamentary elections, leading Kurds and Sunnis to protest Baghdad’s decision-making process—there have been several proposals for establishing the Federation Council or replacing it with a new council. This issue was also used to justify former Kurdistan Region president Masoud Barzani’s call for the independence referendum held last year. During the Iraqi parliamentary elections this past May, Barzani renewed his call for establishing a strategic council representing all political constituencies until the Federation Council was established. Barzani might have been inspired by the Kurdistan Region Referendum Council, which made decisions concerning the referendum, or the Council of the Political Parties, which included representatives from all Kurdish political parties at monthly meetings to discuss political issues. Nevertheless, Barzani’s call was in opposition to the Iraqi Constitution, and such a council would undermine the Iraqi parliament, presidency, and cabinet. Instead, it could serve to satisfy the participation of key leaders such as Barzani and Allawi in the decision making process, rather than developing democratic standards, behaviors, and principles. Although the Iraqi Constitution does not discuss the nature of the Federation Council, political parties agree that its members should be experienced politicians, former lawmakers, and experts who could deal with laws and issues calmly and professionally on the basis of either skills and experience or expertise. As passing the laws at the Council of Representatives is by absolute majority, the demands of certain political sides have been that the Federation Council should require a two-thirds majority to approve laws to ensure that all regions and governorates will be content with them. How the governorates and the regions will be represented is the question for the different factions at the Council of Representatives to answer. Regions, however, should have a stronger presence so that interests of their citizens are protected. Unions should also have their own representatives so that the rights of workers they represent are not violated. The process of electing members of the council should be through elections, and requirements such as minimum age, expertise, experience, and skills could be set for candidates. 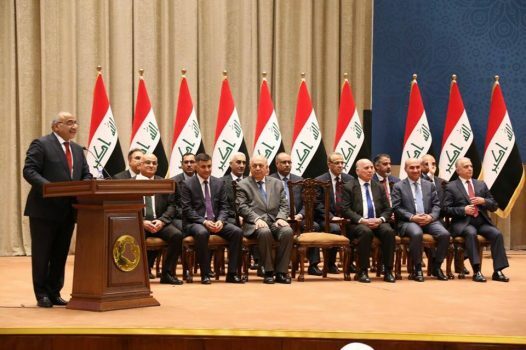 As the elections in Iraq are bringing in some populist and uneducated members to the Council of Representatives, the Federation Council at which experts, experienced lawmakers and skillful and experts’ members represent regions and governorates is much more needed so as to check the laws the Council of Representatives passes. Despite all positive aspects of the establishment of a Federation Council, there are legitimate doubts that it would be able to resolve issues, as the political behaviors of the parties may not change significantly. Party leaders, rather than representatives in parliament, are still the ones who make decisions. The Iraqi people also fear that the Federation Council may merely become a financial burden on the Iraqi public budget, which is why most are not concerned about it and many of do not even know about it. Yet the Federation Council could strengthen the representation of minorities who are currently unheard in the lower house. Securing seats for minorities such as Yazidis, Christians, and Turkmen would not completely address their concerns, but it would definitely strengthen their representation. Such moves could prove to be essential progress in Iraq’s democratization and stability.